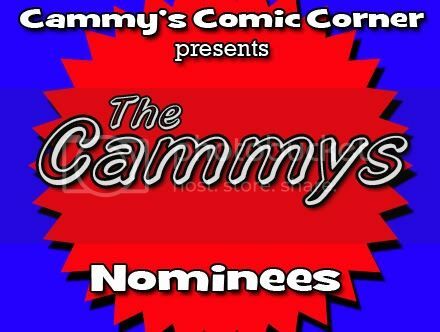 The First Annual Prestigious Cammy Awards! I give you the nominees in the following categories: Best Writer, Best Artist, Best Cover Artist, Best Series, Best Miniseries, Best Single Issue, and Best Graphic Novel. Tune in January 4th, 2012 for the results! This entry was posted in Cammy's Comic Corner and tagged American Vampire, baltimore, batman incorporated, Chew, chris burnham, Chrissie Zullo, Dave Johnson, Dustin Nguyen, francesco francavilla, gabriel rodriguez, gladstone's school for world conquerors, Jason Aaron, Jeff Lemire, Jock, jonathan hickman, punisher max, Rafael Albuquerque, robert kirkman, Scalped, Scott Snyder, survival of the fittest, sweet tooth, the curse bells, tonci zonjic, Who Is Jake Ellis, Witch Doctor by Cameron. Bookmark the permalink.